Not for bedtime reading! These non-traditional fairy tales have been retold for the bravest young readers. 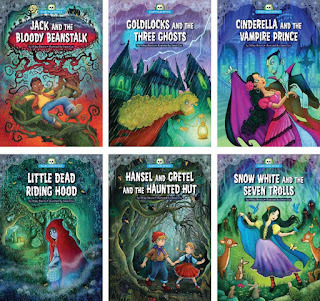 Haunted and creepy, each book in the series changes the way children will forever think of these classic tales. Rich, engaging art draws the reader in. Page-turning pacing makes each book fun for reluctant readers. These books are sure to be favorites this year. Wiley Blevins has taught elementary school in both the United States and South America. He has written over 70 books for children, as well as created school reading programs in the U.S. and Asia. Wiley lives and writes in New York City. Steve Cox lives in London, England. He first designed toys and packaging for other's people's characters. But he decided to create his own characters and turned full time to illustrating. When he is not drawing books he plays lead guitar in a rock band. We have seen the classic fairy tale told and retold so many times before. We've seen a live action version of Cinderella, and we have an upcoming live action Beauty and the Beast. But you haven't seen the classics told the way that Blevins and Cox tell and illustrate them. 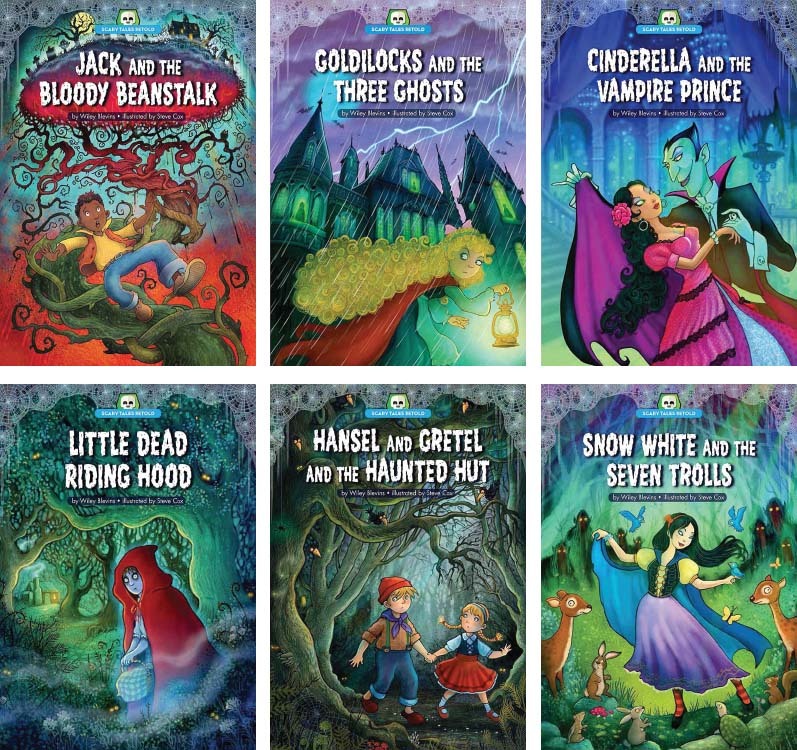 Perfect for Halloween, Blevins and Cox present six classic fairy tales retold with new, scary settings (Cinderella and the Vampire Prince, Goldilocks and the Three Ghosts, Hansel and Gretel and the Haunted Hut, Jack and the Bloody Beanstalk, Little Dead Riding Hood, and Snow White and the Seven Trolls). Not only do Blevins and Cox change the characters/basic setting (the plot is pretty much the same in each book), but they make their characters a little more diverse that what we're used to with Disney (how refreshing!). Snow White appears Asian while the wicked Queen appears Indian, and Jack appears African American. Young readers, who are brave enough to pick up the books, will see more of themselves in the characters. The play on trolls instead of dwarves and ghosts instead of bears is ultimately so clever that the retelling of the stories makes it eerily perfect for Halloween.